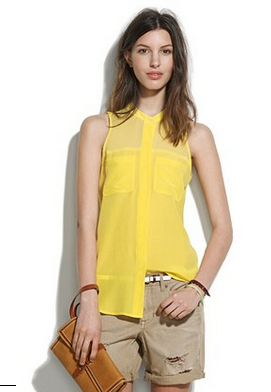 Love the color of this sunny blouse! It's a perfect addition to anyone's summer work wardrobe, so versatile and fun! Buy at Madewell for $98.